"Shamrocks Personal Checks" product is already in your cart. You will have the luck of the Irish with these charming Shamrock Personal Checks that will bring good cheer to whoever sees these festive checks. 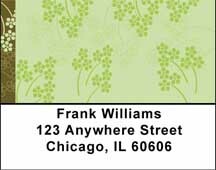 With a pale green background there are three rows of shamrocks in a darker green decorating these checks and all are enclosed with a contrasting border. They are a vivid reminder of St. Patrick’s Day or Ireland in general so anyone who is Irish or feels like they are Irish should use these Shamrock Personal Checks to bring them extra luck and show that they are proud to wear the symbol that beautifully represents Ireland.